Rebecca A. Freeman — Surgical Associates P.L.L.C. 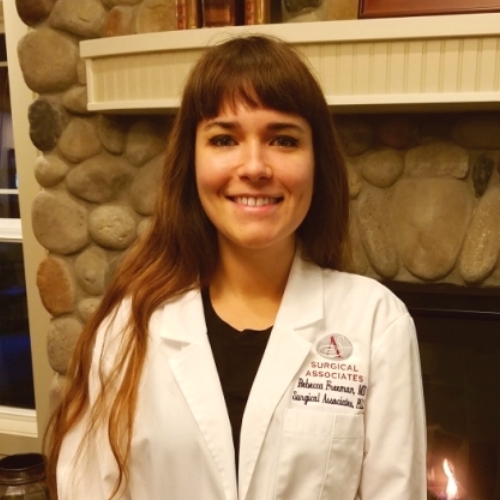 A graduate of Baylor College of Medicine in Houston, TX, Dr. Freeman completed her General Surgery residency and Minimally Invasive Surgery Fellowship at Brown University, Department in Providence, RI. She worked in private practice as a Minimally Invasive Laparoscopic and General Surgeon at the Cedars Sinai Hospital in Los Angeles, CA before moving to Washington in 2016. Owing to her love of the great outdoors, Dr. Freeman relocated to the Pacific Northwest, also allowing her to be closer to family. Her experience and insights are a great addition to Surgical Associates, broadening and enhancing our surgical team.